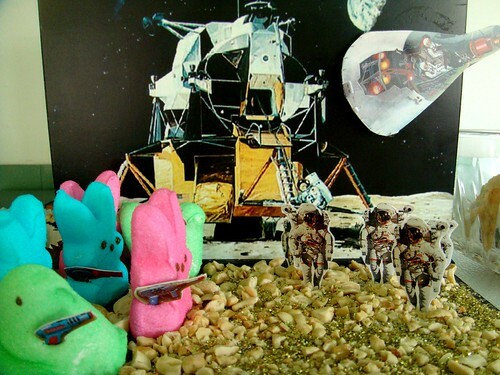 The Peeps had lived happily on their own planet for some time now. 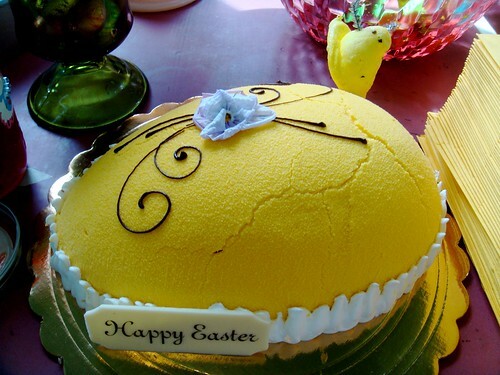 Dutifully cooperating when we captured them once a year, shipping them like slaves to our homes. 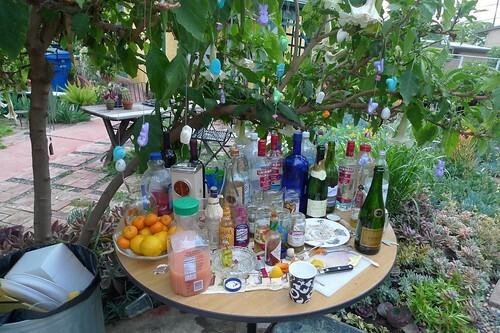 But this Easter, something was different. They were…waiting for us. 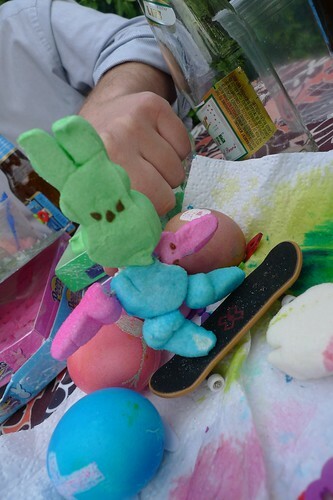 This year, the Peeps struck back. 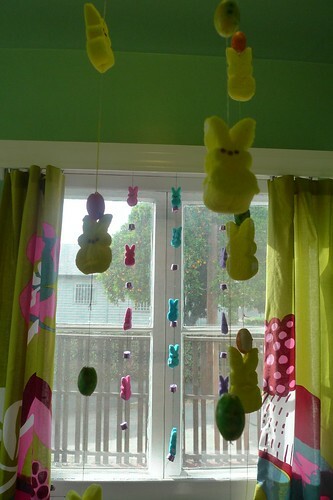 On a quiet Easter morning, Peeps began raining from the sky. Attacking our most vulnerable resources. They wore protective eye wear to shield their fragile bodies from our harsh climate. And came prepared with explosives strapped to their backs. It was like nothing I have ever seen before. 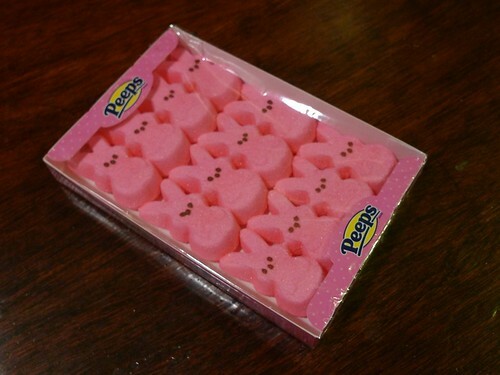 Peeps brutally murdering their own kind. We had a Situation on our hands. 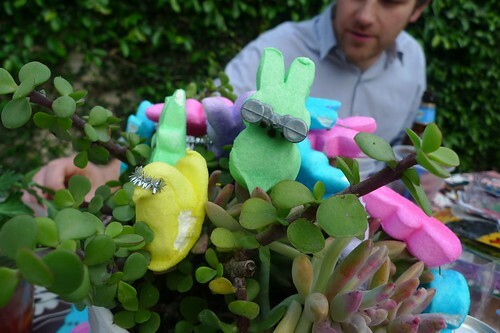 Little did we know that once they came in contact with other types of sugar, the Peeps began to mutate. Morphing into disgusting alien lifeforms. 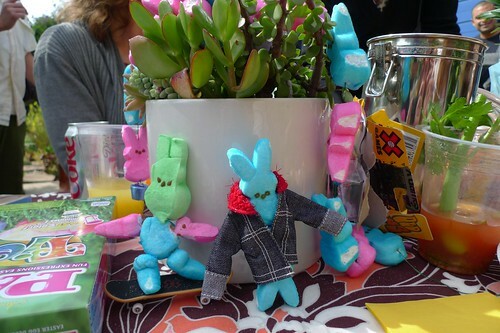 Peeps from another time and place. Until they began to look almost…human. 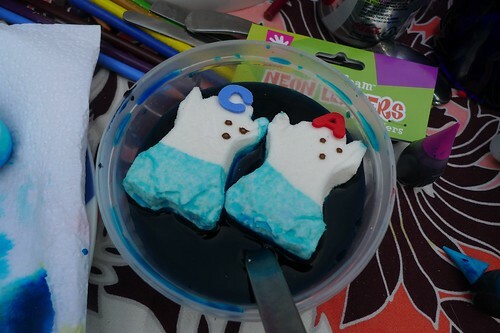 And soon, they began to look and act so much like us that we had trouble telling our Peeps from ourselves. 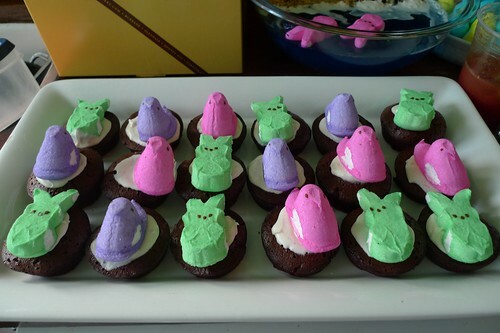 Thanks to Lenny for some of the photos; Emily, Laura Kate, Kalee, Arlo, Jed, Josh and Sonja for their marshmallow creations, and everyone who surrendered their lives—and their Sunday—in the name of Peeps. More photos here. 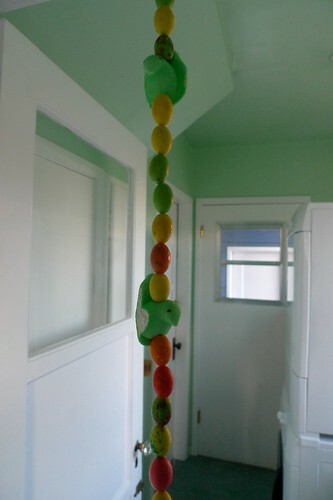 This entry was posted in crafting, creating, eating, partying. Bookmark the permalink. 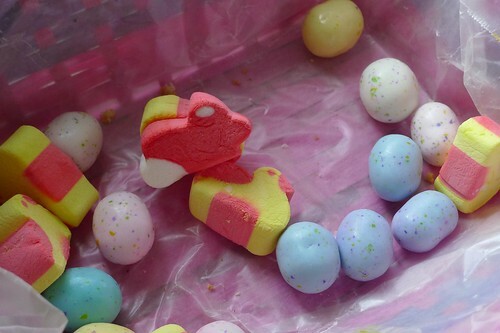 Love your annual Peeps madness. 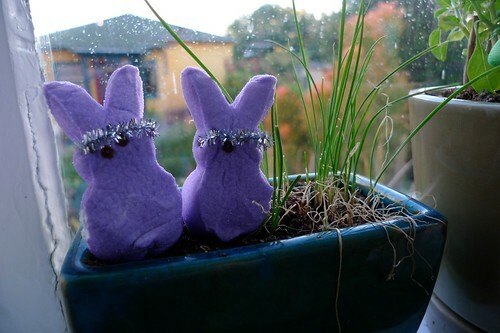 Now, it's officially Spring. I love that. SO much! 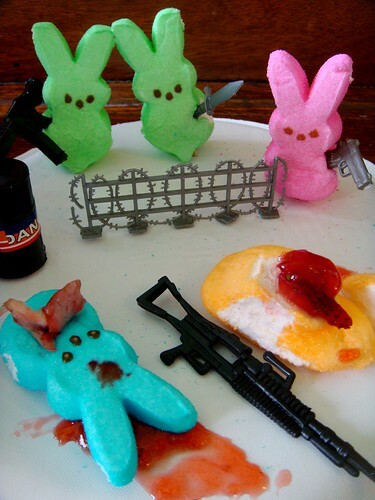 My favorite is the one with the organ strawberries seeping from the gunshot wound…..
You're like a crazy cat lady. 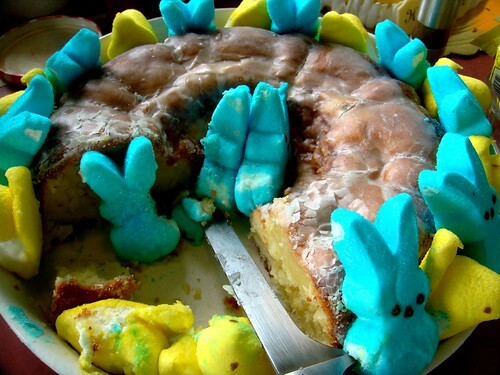 But with peeps. 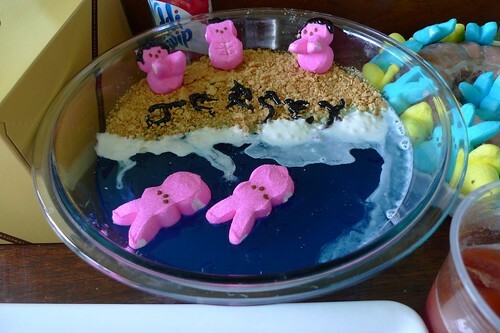 I seriously lost it when I saw the Jersey Shore one….awesome.